Metal caps offer the widest range of temperature tolerances and are very impact resistant. 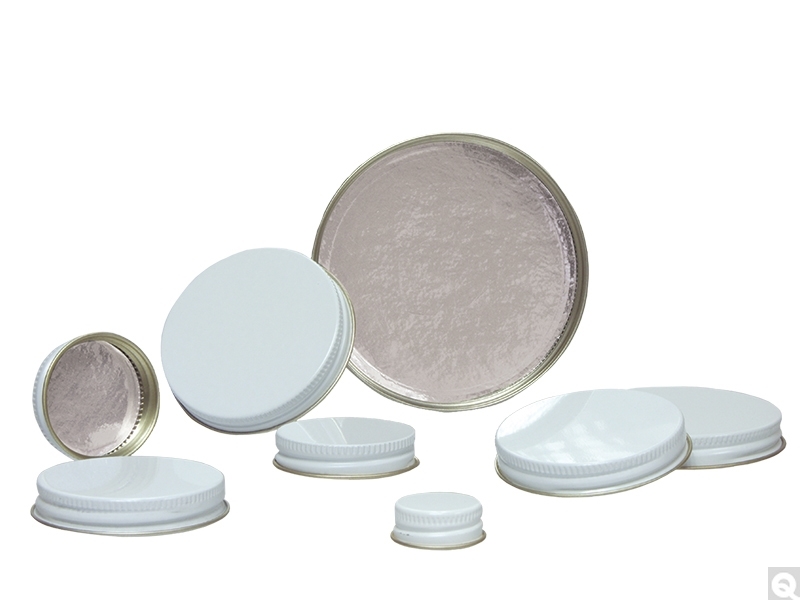 Metal caps and lids are manufactured from either steel (coated with anti-corrosive coating of either chromeplate or tinplate) or aluminum. Pulp/Aluminum Foil Lined Metal Caps come with a standard 400 GPI thread finish and are available in a wide range of diameters to fit your bottle or jar. Free of odor and taste problems, foil-lined metal caps and lids are typically used for food bottles and jars. These white caps can also be used for non-acid, non-alkaline products, and are great for organic solvents, chrome cleaners, brake fluids and mineral oils.